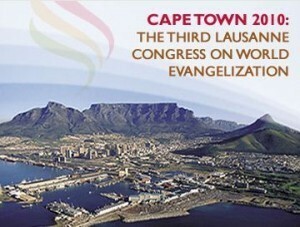 David Guiles, executive director of Grace Brethren International Missions, sends his final report about the Third Lausanne Congress on World Evangelization meeting October 16-25 at Cape Town, South Africa. This was written Tuesday, October 26 upon his return home. On this last day of Cape Town 2010, the focus was on partnership. The day of looking for the new evangelical ‘leader’ is done. This is the age of partnership. The era of missions from the west to the rest is finished. Welcome to the era of missions from anywhere to anywhere. Does evangelical = entrepreneurial? If so, that may explain why working together in partnership isn’t easy for many of us! To borrow a title from a well-known book, the church is bigger than you think! To meet with representatives of the Body of Christ from over 190 countries – and only God knows how many people groups – is nothing short of a paradigm-breaking, faith-strengthening, passion-increasing experience. And in spite of rumors to the contrary, the evangelical church is healthier than one might think. Certainly problems and challenges abound. But having talked personally with leaders from 37 countries, I am encouraged that we remain committed to the fundamentals – the authority of Scripture, the absolute uniqueness of Christ, the necessity of righteous living, the responsibility of social engagement and the urgency of clearly proclaiming repentance and faith in Jesus. Under the broad umbrella we call evangelicalism are 420 million Christ-followers that will never completely agree on everything, but our commitment to the Great Commission opens doors for collaboration and partnerships. Such cooperative ventures serve as a strong apologetic for the power of God to ‘create one new man in Christ,’ and are indispensable if we are to make significant progress in reaching the world for Christ. It might be worth clarifying that I was not invited to Cape Town as an official representative of GBIM or of the Fellowship of Grace Brethren Churches, but simply as an evangelical leader. Lausanne is a movement that seeks to network evangelical leaders for the sake of the Great Commission. At Cape Town, we were 4000 participants, not delegates, and as such were not called upon to join an organization or endorse a statement. We will occupy our place as part of a global evangelical movement. We embrace the reality that we form part of the global body of Christ. While we remain firmly committed to our heritage and distinctives, we celebrate the fact that Christ is building his church through the efforts of many brothers and sisters outside our family of churches. We commit ourselves to seeking authentic partnerships with like-minded followers of Christ for the fulfillment of the Great Commission in our generation. If you missed a daily post from Cape Town, wish to review the entire week or simply want sign up to receive future posts, feel free to visit my blog, Relentless Pursuit, at http://rpofthegc.blogspot.com.